The station originally was scheduled to be shut down in 2016, but it has now been funded through 2020, and it may operate until 2028. Because of this continued funding, repairs are being made to extend the life of the station. The ISS is continuing to conduct valuable microgravity experiments and to expand research in other areas, including biology, physics, astronomy, and meteorology. In addition, the Russian space agency is doing work aboard the ISS to assemble its next space station, to be called OPSEK. 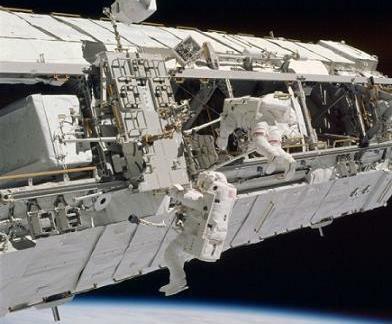 With the retirement of the U.S. Space Shuttle fleet, the partner nations must depend on spacecraft from Russia and the European Space Agency to carry equipment and crewmembers to and from the space station. However, NASA is taking steps to ensure that private companies eventually will be able to launch spacecraft to carry U.S. astronauts to the ISS. An American firm, SpaceX, became the first private company to deliver supplies to the ISS when its newly developed Dragon spacecraft docked with the space station. The ISS is expected to play a key role in future efforts to explore the Moon and to land humans on Mars. "The International Space Station is the centerpiece for our human exploration and our spaceflight endeavors in the coming decade," NASA Administrator Charles Bolden said. "I like to say it's our anchor for the future of human exploration. The station is our start to the journey outward." As part of that effort, NASA and the Russian space agency have agreed to send two crewmembers to the space station for an entire year so scientists can study the long-term effects of living in space on the human body. A Russian Soyuz spacecraft is expected to blast off in 2015 to carry Scott Kelly of NASA and Mikhail Kornienko of Russia to the space station. The joint one-year mission demonstrates another way in which the ISS is central to the future of space exploration. 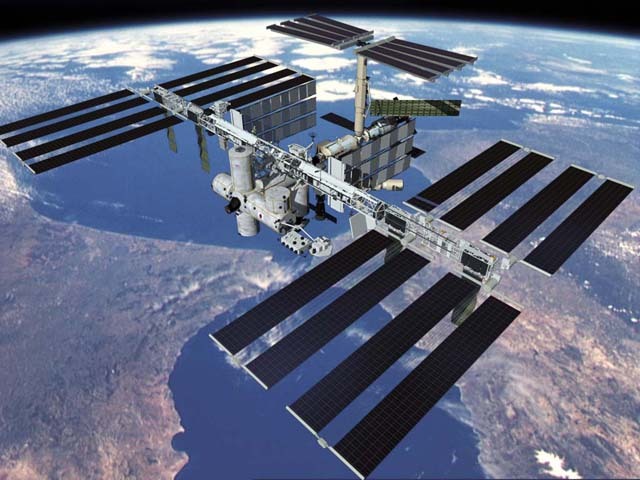 An underlying goal of the space station has always been to promote cooperation among nations for scientific advancement. Russian and U.S. officials have agreed that sending humans to Mars must be a global mission. Speaking about a future Mars mission, Sergey Saveliev, the deputy head of the Russian space agency, said, “We strongly believe that this project can be accomplished only through international cooperation." Bolden agreed, adding, “I think you'll find everything we do from here on out is probably going to be international in nature." For more information and current news, visit NASA's website on the ISS.